Lee Dong-Wook began his military service on August 24, 2009 and was discharged on June 20, 2011.
carla perez Apr 19 2019 10:17 pm Love him to death. Love it when his roles are serious, cold hearted. He looks so handsome. Ollie Apr 16 2019 7:50 pm Seriously love him. He can act all serious and his expressions are amazing but he's also so CUTE! God I love his smile it's beautiful. lunaaaa Apr 09 2019 4:37 am my heart melts?❤️❤️❤️❤️ i hope yoo in-na would be your forever loveeeeeeeeee. mwuahh? deabo Mar 20 2019 8:39 pm I've seen him on Goblin and later on Life. I really like him a lot. Can't wait to see him presenting Produce X 101 this year!! memory Mar 19 2019 8:33 am the first time I saw was in the drama " touch your heart " ahh1 <3 he melted in my heart just like how biscuits melt in tea *^*lee dong wook oppppaaaa~ sarangahaeyooooo ! Precious Mar 09 2019 2:06 am Is lee dong wook and yoo in na dating? I really love them both and would be glad to know if theyre in a relationship. More dramas together with in na ??? Lee Feb 28 2019 8:17 pm Lee Dong Wook would be perfect for the lead role of the korean version of Love Me If You Dare. He reminds me of Wallace Huo. Love his style and is really handsome. Cherie Oct 14 2018 2:42 pm Such a talented actor. I love watching his expressions and method. It does not hurt that he is devastatingly attractive! He reminds me a lot of a younger Robert Downey Jr., especially in Blade Man. Nada Aug 24 2018 9:56 am Only one word can match you,GREAT ACTOR. Othet than your humble side you are honest and kind as well. Please stay in the good path.will always respect your crafts. Joonyeol Kim Jun 21 2018 3:27 am I really get too hyped up when you're in a drama. You always get the best out of every character you play. My favorite Korean actor. Saranghae~ Hwaiting!!! Wasiatun fauziah Apr 26 2018 8:24 am Work with Ha Ji Won please.. I hope she has recovered too.. ?? Kriselle Apr 08 2018 8:02 am Saw him filming his new drama earlier this afternoon at Konkuk University Seoul named Life, they said that drama will release on July. Leigh-Ann Blake Apr 06 2018 11:53 pm My daughter is studying Korean and were advised to watch K-drama. First saw Goblin and absolutely loved the bromance between Grim Reaper and Kim Shin. Now watching Blade Man and have become fans. Will work through the list of your other dramas too. Ron Apr 01 2018 11:09 pm I am his new fan. Loved him in goblin and now watching hotel king. He is just too handsome and a great actir. Will watch all his drama now. Lina Mar 09 2018 5:29 am SUZY is a lucky girl to have a BF like u..Congrats for both of u.
Neliya Jan 11 2018 5:12 am Congrats on your new Drama, LDW!!! Hope this year will be as successful for you as the last one!! Fighting! ❤️? Lovely Faithful Peña Nov 06 2017 7:05 pm Hello! I'm from Philippines. I just finished watching the Goblin. And woahhh, you're amazing! ? Grace A. Manangquil Oct 16 2017 1:35 am I am a senior citizen from Philippines. I am so sorry I am a late fan bloomer of yours. After watching you in Goblin, I am now trying to cope up watching your other tv series -Hotel King, Scent of a Woman and Wild Romance and I know I have a lot more to catch on. I can't help but admire your acting skills and your beautiful smile and those red lips of yours. Hope to see you more on screen and may you find happiness in life. July Oct 03 2017 10:08 pm Saranghaeyo Wookie. I'm very inspired by your acting skills and with your angelic face. It always made my day complete! Princess Dianne S. Ignacio Sep 13 2017 8:44 pm Saranghaeyo oppa, hope to see you soon! Mary ann ramos Sep 02 2017 10:50 am i love you Lee Dong Wook!! Too see you in real life is one of my greatest dream! Your smile melts my heart a million times.. I love you Big time!!??????? annie from Philippines ?? dido Aug 27 2017 6:44 am i'm one your fans..loved your acting, looks..especially your cool and naughty side..you're kindy mysterious too..hope to see a lot from you soon..you're simply the best..i'm falling for you over and over again..
Moonim Jul 25 2017 4:26 pm Oppa saranghae!!!! Vanessa Jun 23 2017 9:53 am I so love all of Mr. Lee Dong Wook's works. I've watched everything I can find with him in it and have never been disappointed. I just watched "Goblin" for the 2nd time and thought to myself, if this beautiful Grim Reaper will show up to take me to the after life - I think I will be ok. :) Be happy and healthy. I look forward to see more of your excellent work. With love from the United States. Atul Jun 23 2017 2:24 am I really lovee your acting in Goblin! I love your smile ? ?you're cute! Roshell daya May 22 2017 4:39 am Hi....im very happy that im one of your fans .....thnk you for giving us insparation of your movies...also MR. GOBlin...thnk.you..
FitriAnanta May 22 2017 12:51 am He just visit us in Indonesia.. He really deserved to be loved.. he is so polite, charming, joyful and kind.. we really proud to be his fans.. please support him as always .. 10 out 10 for you !!! Je c ka May 17 2017 6:46 pm If he is the grim reaper I love to become his missing soul. Always waiting for your scene with goblin? Senju tobi May 13 2017 2:40 am very very good actor!!!!! annarhey Mar 06 2017 4:41 am Lee Dong Wook, you are such a good actor! I keep following all your drama series... ahahaha call me a STALKER! Aly Feb 18 2017 1:37 am is he married in real life? Jangdong Feb 11 2017 8:24 am Ahjussi.. Saranghaeyo..
whynot Jan 18 2017 11:51 am so versatile. excellent sense of humor and it is so easy for him to express almost any kind of emotion without overplaying. truly a very good actor. Hunter Jan 18 2017 4:09 am My most favourite character the grim reaper, excellent actor, it has been a joy to watch him on screen. I'm definitely going to check out his earlier work. Plus he's hot, yes that is biased but it's still true. Augusteleven Jan 15 2017 6:07 pm He was my first love on "My Girl" and it just brings back memories in Goblin. Linka Jan 08 2017 2:13 am The Best Grim Reaper!!!! Excellent acting!! and the most Handsome korean actor ? jihyobae Jan 07 2017 12:57 pm Such a great actor! And i love your chemistry with yoo in na! Saranghae oppa! Kaddict Jan 07 2017 8:07 am He reminds me of Kim Yugyeom in G7. He looks like him, a bit. Gemma lang ku Dec 31 2016 11:04 am You always give me reason to fall in love with you more and more. Since my girl until in goblin. More project for him plsss.. #leedongwooksaranghae ? Jangdonh Dec 29 2016 10:35 pm I like u in Goblin Your acting is really great. Ur funny and serious face drag me so much ㅋㅋㅋㅋ I wish Grim Reaper and Sunny have more scenes. Love these two so much ???? bellche Dec 29 2016 6:17 am love him since k-drama my girls...????? JulySnow Dec 22 2016 9:52 am Hot, great personality, great actor, very genuine...Total package! SO UNDERRATED!!! Much better than the real Kim Woo Bin! Ein the Helpful Ghost Dec 17 2016 9:27 am Our Grim Reaper, so adorable yet so scary at the same time. I just wanna pet him, but he might threaten me to the dark place... it's worth it! Julia_Sonoro Dec 16 2016 8:21 am You're so funny in Dokkaebi. Your so cute. Goblin's bride Dec 13 2016 7:36 am Maybe i love the grim reaper more than goblin ??? Goblin's bride Dec 13 2016 7:33 am I didnt know u could be so cute and funny and adorable omg... love your acting in Goblin. Love you!!! Davia Dec 10 2016 8:22 pm The Goblin would not be the same without you. Your comedic sense in this is just perfect and adds so much to the drama. Hope to see you in more comedies! LIZA OCAMPO Dec 04 2016 11:04 pm hi! Mr. Lee dong wook. i love you more! after watching all your teleserye. Miss u much..
LKB Oct 22 2016 9:50 pm I'm sooo excited for GOBLIN (airs starting in December after The K2 finishes)... Lee Dong Wook will be alongside Gong Yoo and Kim Go Eun! Granted, K2 is amazing (I imagine Tomorrow With You, which will follow Goblin and has Shin Min A and Signal's young hottie Lee Je Hoon will likewise be great-TvN is on a major roll!)... but what better comic relief than an immortal goblin (with perfect abs and chest assuming the goblin is Gong Yoo :P) wanting to end his existence but the angel of death (unless the love story they promoted is goblin dudes, Kim Go Eun) having amnesia... after so many heavy, death-plentiful shows with a mix of crying and fear and generally being overwhelmed in a good way, whatever on earth or in the universe they have Lee Dong Wook playing/doing, it certainly will be refreshing and thankfully not so heart-stabbing like Bubblegum! I almost HOPE a love triangle of "other creatures" is in the plans-I usually dislike the overuse of them but the coffee princely gong yoo as a goblin perhaps in love alongside some other Tolkienesque Dong Wookie critter will definitely be worth my time and exhaustion of my lungs as I think and hope it will be hilarious! I hope you stay healthy and safe filming (underway now), 이동욱 / LDW! aul Oct 02 2016 2:26 pm My first love korean actor. Many handsome korean actor but no one can replace u from my heart. First drama Im watching is my girl when I was in elemetary school and after that I watching your drama and ofcourse movie. 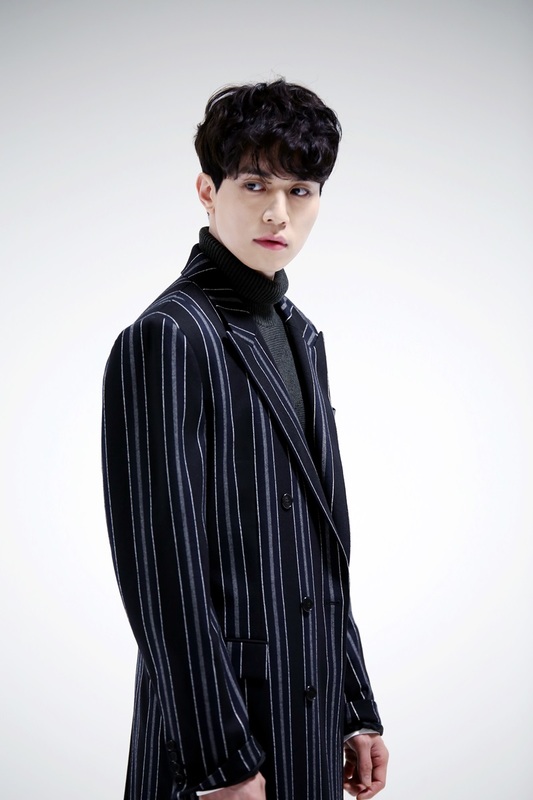 Fighting lee dong wook oppa, I can't wait goblin aired. Sreymech Aug 09 2016 8:16 am I really like " scent of a woman" ! Since it was my first time to see that movie, which was starred by Lee dong Wook and Kim sun ah . It is the best movie for me ever after because I learnt a lot about life and that really made me think about some things that could happen in life . Even though I had never expected before.one more thing, one part of the movie stories was real for me .when the love one got really sick and passed away,it was my mother. I really hope to see lee dong Wook and Kim sun ah star together in the next dramas. You are the best actor and actress in my mind forever ! Great job ! Wish you the best! Tonni Jul 09 2016 5:50 am yeah... i like donghae couple too... they look sweet together... if you two work again soon,it will be great... i have watched my girl & hotel king both.... waiting for another drama of you two... dong wook oppa ,fighting! Me Jun 30 2016 8:16 am A melodrama with HJM. Can it be possible...? momo Jun 08 2016 12:45 am i hope you and lee da hae will be cast in other drama together again,really loves both of you together!.. i already watched 'my girl' before but recently i watch 'hotel king' u guys look so perfect together, i finished that drama within 2 days and when i re-watch it,it still look cool. i hope you and lee da hae are dating in a real life lol. love donghae couple so much!! queen Jun 06 2016 5:49 am Had been finished watching a very beautiful drama 'Hotel King' again!!! Looking forward to see Lee Dong-Wook doing a TV series soon. A very handsome and talented actor need to be recognised. Hope to meet you personally. God bless you always. Mimi May 20 2016 10:29 am You and lee Da Hae are onscreen soulmates, no wonder you got two dramas! Unknown May 18 2016 7:28 am Can someone tell what lipstick or lip tint that he use ? It looks so natural on him. Nik May 09 2016 10:40 pm I'm really2 hope that you and Kim Sun Ah unnie will in a drama again. Great chemistry in Scent of a Woman... #Sunwook couple..
Sachiko May 06 2016 12:43 pm I hope to see you and Song Hye Kyo in a drama.. You two are very good at acting, especially when you cry.. I get carried away whenever I watch you cry..
Sun Apr 27 2016 10:33 am Please do that third drama you want to with Lee Da Hae! You guys have unbeatable chemistry! Cath Apr 12 2016 10:02 am Great man. I always love him. His bubbly personality is what makes him more manly. Though I only watched a few of his works he deserves recognition from the industry. I believe he has something more to give into that'll showcase his ability as an artist. Ajah, Dong Wook! LG Dec 08 2015 9:08 pm A very good actor and love all his drama roles. Alex YU Nov 22 2015 3:45 pm He looks a lot like Sanjo Marudo on some of his pictures. Love his acting and love the guy. Jungle_fish Nov 09 2015 3:53 am He looks so younger in bubblegum.. Funny bunny Sep 20 2015 7:43 am Love this guy. I think he is under rated compared to so many others. Excited about his new drama bubblegum. Fight on! suk2014 Sep 19 2015 9:08 pm Cheerful: I dont kim hyun joo, kim sun ah, song ji hyo, lee dae, shin se kyung unpopular actress. Wilma Aug 15 2015 5:06 pm Sinced from my girl drama series I felt proud of him☺️☺️☺️He's really a versatile actor.how I wish to see him in person.God bless and more project to come.bravo hotel king Lee dong wook. Quinji Aug 06 2015 1:47 am He should do another drama with Lee Da Hae. They are absolutly fantastic together. summer Aug 01 2015 1:52 pm You are amazing, got huge crush on you..
Jen Jul 25 2015 11:39 pm Hi! i am a fan of yours..The 1st series I've watched was Blademan & it made me fall in love w/you...Then followed by My Girl, Hotel King & Scent of a Woman...I love you being paired w/ Lee Dae Hee hope you'll have another series w/her & I wish in reality you'll end up together...God bless..
crazycatlady Jul 14 2015 1:20 pm korean actors usually act on the teenage side of women. he is not the most handsome actor. and ofcourse, he is not the best actor. but in some way, he is the best, and my favorite. because i can like him, as a 28 years old woman, not a 13 years old girl. and i like liking him as an adult, knowing that i will not dream about to date him or be with him, but i will love and support him as an actor. yes, in some ways liking an actor childishly seems cute and makes me feel young again, but i prefer to be an adult. anyway, i'd like to see him in much more projects. princess Jul 11 2015 12:02 am I miss you Wookie ..
kharra Jun 14 2015 12:44 am I love you so much wookie!! You Are one of the best actors in S.korea. You nailed every charcter/role given to you. Such an amazing actor. Btw you are my dream guy.haha! your face is so perfect omg. I hope u and da hae will pair up again in another drama. Love u so muchhhhh!!! Jade May 01 2015 9:34 pm he's in my list as one of my fave Korean actors. He's witty and smart. Lookin' forward on his project with Han Ji Min. Really love them both to work together. jazingsoo Mar 20 2015 11:04 pm Oppa are you keeping your eye on Se Ho? He said he'd get back at you for the prank at the 4D movie!... ? When is the next Roommate Night News and WHAT exactly are you up to now this year? Kristine Mar 02 2015 2:12 am I love all your dramas and movie... Very versatile actor ... Good in acting regardless of what role or genres .... U rock! I love u best especially in hotel king and my girl ... I love da hae as well !!! micaella Feb 15 2015 11:37 pm just love the way you are..excited to hear new things about you.. just watch your my girl drama and i luv it..
Malu Feb 01 2015 1:59 am I really love Hotel King, he's wonderful in comedy and drama. liv Jan 29 2015 11:04 am Lee Dong Wook, i love your acting as an actor and i like your personality as a man! i love hotel king so much, and i started to watch every show and series you are in. Be easy to yourself, you are loved by so many people all over the world! and please stay in roommate so we can see you every week (my mood booster)! Lee Dong Wook Jjang!! av Jan 17 2015 10:21 pm Lee Dong Wook oppa i have one thing to say: Always remember what Lee Deok Hwa had to say about you when he came to visit Roommate. You're a great man and actor inside and out. Don't be so hard on yourself and let that cold refreshment of that plate of snow be a wake up call to that head of yours for not being confident in yourself. Saranghae oppa! Fighting!!! Miss L Jan 09 2015 8:16 am LDW i looooove you to the moon and back! hahahahaha! i just finished watching hotel king but i still can't get over it. norie Jan 02 2015 2:45 am LDW did a very good job inHotel King! I just hope he'll get an award for his superb acting as Cha jae wan! Kim Dec 16 2014 3:34 pm I'm currently watching My Girl, and I love this show as it is funny and the pace is not boring; Dong-Wook is a terrific actor in this series. I think he and the other lead in My Girl are the same lead actor/actress in Hotel King. loverkor Dec 15 2014 9:17 pm Lee dong Wook is best actor!! his acting skill is extraordinary!! his agency needs to find him some script who suit more of his character and pair him up with some of rising female leads it can totally rise up his career, popularity i not a problem to him. but having a good drama is what he needs like Hotel King! vik Dec 10 2014 3:26 pm wow cool coments all the way, glad to know there are people that sees what i see in him too, his shinning in a very different way that ordinary people like those that doesnt vote for him can understand. like i want to see only you on my tv screen. Luckygirl Nov 24 2014 4:09 am Suzy, that's my point too. I just can't understand how korean fans, netizens and producers don't use his amazing acting skills in leading projects with good script. As he shown with Scent of a woman and Hotel King, he can help in making the drama hit. Just give him more credits and good script. I really appreciate a lot of actors and trying to be objective. He really deserves to be among the cast of great projects. And of course he should have been nominated in lots of Awards for Hotel King. And he should have won the APAN, but an old actor won it. And he should be awarded on MBC awards for his amazing acting in Hotel King!! Suzy Nov 22 2014 3:23 pm Am really pissed off why he isn't voted as the one of the finest Asian actor or male nt only talking about South Korea. Seriously the agencies should produce more of dramas with him as the leading guy. Am nt saying this as a fan am just being frank. Wook really has good acting skills. Suzy davidson Nov 22 2014 3:04 pm To be honest I really love ur acting, ur like my best actor, I love watching ur dramas maybe because of the way u act is so impressive nd cool especially in blade man nd hotel king. I really wish dat u have more drama roles nd ur the main lead. Am serious ur like d best Asian actor nd I just started watching u movies, ur even better than Jet li, and d rest. They should really acknowledge u, u have a gift to attract attention like in roommates, if I was to ever come to South Korean I would really want to see u. Like they said FIGHTING. Cynthia Nov 03 2014 4:33 pm Just discover Lee Dong Wook early this year when I watched Scent of a Woman and you are a gifted actor. I can't get enough of your shows. I've seen one of your movies ant it was very good. Hope you do more movies. Thanks for sharing your gift. Have a Great Birthday on the 6th!!! Bee Nov 02 2014 1:08 pm I wish Wookie will have even better role and project, then Blade man. Although I like Blade man so much, I want him drama with better script and promotion, thus he can receive much more credits from media, watchers. And of course, better ratings. I imagine how upset he is because of ratings. Nevertheless, his acting in Blade man is still much more them perfect. Lee Dong Wook, fighting!!!! thanhnguyen Oct 28 2014 9:17 pm I have to say the chemistry between Lee Dong Wook and Shin Se Kyung is palpable and brings life into Lee Dong Wook. They are explosive on screen and just feed so well off each other on screen that I can't get enough. I love Son Se-Dong. She's cute, oblivious, driven, passionate, and of course loving and self-less. You'd have to be a moron not to love her and find her utterly cute. SSK just brings this character to life. The boys seemed to be more so her children than younger brother-like. And she just cares. You would never lose with SSD in your life and SSK must have that in her to convey her so well on screen. Working with LDW is great. Even without this show ending, want them already pegged for another drama together. Excellent! We love Blade man. Stacy Oct 27 2014 11:00 am For sure, Lee Dong Wook is my favorite actor (not only asian). His acting is so credible, that I believe in every emotion he shows. That's one of those cases, when I've began to appreciate actor not because of his attractive look and charisma (for sure he hat a lot of this), but because of his acting skills. I believe he's very nice, extraordinary person in real life. Wish him more and more great projects. He deserves to have the best projects and not only TV, but in big screen too. Simone Oct 04 2014 12:42 pm 'Love you, Lee Dong Wook! You're the best! ashley Sep 26 2014 12:52 pm hi im ashley and i loved you drama scent of a women it was great there's this guy i like he looks just like you, and he stares at me in class i have a major crush on him by the way hes your twin well i love you dong wook im cheering you on love you! Jagruti Sep 25 2014 5:59 am Hi!! I am Jagruti . From India. one of your fan!! I like your drama my girl soo much. Your are very good actor. Your expressions are too good. Good luck for your next drama. God bless you!!! Stay healthy. Bye. maria Sep 21 2014 9:35 pm Hi oppa i'm your fans from Indonesia (in hotel king u call my country ooh i' m proud).i like you so much,i love your expression when acting mainly to be cha je wan and your chemistry with Lee dae he very good,hope you and her be a couple in real life kekeke...take care oppa,keep healthy and fighting!!! I always waiting your next drama..
chyna Sep 21 2014 3:52 pm Oppa!!! Saranghae!!!! I have hope in you!!!! I love your acting soooo much.!!!!! Your character i fall into right away. You make me want to keep watching the show/movie. Please dont give up .Your awesome!!!!! You are one of the finest actors in Korea and you are my favorite starting from the My Girl days. Wish you more movies, dramas and commercials in the future. I like you more than Brad Pitt now. Especially when I learned that u are still living with your mom until now. You are just amazing. Hope you could also visit the Philippines soon or if ever I be back to Korea again....wish I could see you, hahaha! My husband will not like it but it's okay", he knows you are my favorite actor so he understands. Deki Sep 18 2014 12:46 am Hi, I really enjoyed his drama Mr girl and his acting skills. He looks good with his serious looks. I would love to keep updates on his schedules and dramas. Love You. colline Sep 13 2014 10:37 am Oppa aneong;) cant wait for the new upcoming tv series "The iron man" keep up the good work.! ilovechela Sep 11 2014 6:44 pm I watch your new drama series Blade Man and i cant stop laughing.You're one of the best actor Korea have,your acting skills are great..from drama to comedy and even in reality (Roomate) you never failed to entertain us.I look forward to see more of you doing movies/series in the future.Takecare Oppa! shermila sher Sep 08 2014 7:33 am hai..oppa dong wook.. I'm your fan from sri Lanka. I watched "My Girl" and " Hotel King". I can not even believe your skills on acting. you are the best actor that i have ever seen. Leang Sep 07 2014 12:41 am You are so handsome!!! I watch you whether it good or bad story line. I love you always!!! Hiba shahid Sep 01 2014 2:20 pm Hello lee dong wook ☺ i'm one of your biggest fans from Pakistan. I'm looking forward to watch your new drama and movie. Take care and all the best! roshanz arquee Sep 01 2014 7:23 am I really like ldw n his dramas.!! n I really want to see you in my real life ldw......!!!! Ellen Aug 22 2014 12:26 am Great actor...Looking forward for another drama. I love you LDW! emie Aug 17 2014 5:35 am i really like lee dong wook... looking forward for another drama..
princess shazi Aug 14 2014 11:52 pm I really like Lee Dong-Wook. He was really cool.. I am trying to watch all of his drama series and movies. Wish I can go to Korea one of this days just to see him.. I love you Oppa!!! thrixie may Aug 11 2014 5:08 am i'm soo addicted to you Lee Dong Wook.. i love so much your drama series "My Girl.. hoping that you will do more movies and drama series.. i'm your number 1 fan here in philippines.. keep up the good wok, more blessings to come and god bless you always..
heyho Aug 09 2014 12:46 am looooveeee you in running man episode 133 and 134!!!! freakingly adore you in bungee jumping with your hesitation at first. it makes you a real man for being so honest and cute with all your expression. you're lovable in the name tag ripping. when you drop the walkie talkie and kneel on your knees when you found the most of the door open is epic! more name tag ripping episode for you please in running man. you're skills good at it. itsme Aug 08 2014 11:29 pm the only manly korean actor existed! you're so lovable in my girl, hot in scent of a man and so addicting in wild romance. one of the finest korean actor and i may say the best. laila Aug 06 2014 3:40 pm I will be waiting for your next drama.. please stay healthy and fighting. You are the best at all..love ya. Rosario Honrubia Aug 05 2014 9:17 pm Lee Dong Wook is a great actor and absolutely gorgeous. I hope he and Lee Da Hae will have another romantic drama series. They have a great chemist. Wish they could be a real life couple. zaynab kassem Aug 05 2014 4:42 am iam sooo in love with uuuu <3!! iam a huge fan " Lee dong wook " i wish i could meet you one day !!! ur smile kills me :O u r my addiction ;) :PPP iam watching all ur movies and series ^.^ !! u r an amazing actor wish u the best :) tc :) goodbless u dong wook gdluckkkkkk <3!!!!! Nicole2014 Aug 01 2014 3:22 am First time to watch him in "Hotel King" Seeing how he performs his character I Was interest in his other dramas. I have already watched Mandate of Heaven & My Girl while waiting for 'HK" episodes. As "HK ended I watched "Scent of A Woman". I still cannot get over him so I'm gonna watch his other Dramas while waiting for "Roomate episodes"
Hope to see more comedy/drama of you. I'm just wondering if you can do action Drama also. Donna Jul 23 2014 3:08 pm Hello, We don't get a lot of Kdramas here in Jamaica. In fact, I think I've only just seen two. But the first one was enough for me to search the Internet for more. And that's how I encountered Roommates. I admire this actor. Not only is he handsome, but he is also down-to-earth. I hope that he and Park Bom can really start something lasting. Whichever way, though, please don't hurt each other. mony Jul 20 2014 6:00 am you are such an amazing actor..i am a big fan. Daisy Jul 15 2014 6:05 am I LOVE YOU lee dong wook!!! I can never get enough of you... always stay perfect. Fighting! Princess Jul 13 2014 6:33 pm I love u Lee Dong Wook.. you're the best! I've love all your dramas, and u made me love you even more in Hotel King .. Yoursforever!! Jaja Jun 22 2014 12:51 pm Wookie looks perfect in a suit..Hotel King Daebak!!! Superb acting with sad eyes. Lee Dong Wook & Lee Da Have = perfect couple!! homa Jun 20 2014 1:32 am I'm in love with his ​​own role. Really good. Till now that he was wonderful. Hopefully we stay always perfect time to enjoy your acting. je-seok Jun 15 2014 3:00 pm First i saw Lee Dong Wook oppa in My Girl and i feel inlove with him since then...now i started to watch Hotel King..same handsome as ever.. Keep up the good work oppa..Saranghaeyo.. Bashsyah! CS May 16 2014 4:15 pm His acting is superb in the Hotel King. Very cool and sensitive, he is the most suited actor for the charactor. Niya May 01 2014 6:44 pm I just finished watching Scent of A Woman and I swear I fell in love with Lee Dong Wook the first time I saw him appear on my tv screen LOL. He is incredibly good looking. jenny Apr 17 2014 2:01 am LDW IS SO CUTE :( he is my dream man!!!!! hes soooo adorable when he smiles! his acting is superb too. cherry Mar 30 2014 7:19 pm i hope that you and your love team in my girl will couple in real life ..ilove you ..and i hope you have new drama with Lee Da-hae..id never forget the story of MyGirl..until now i always watching..the song are very nice..your perfect couple ..im your #1 fan from philippine ..always take care..
dorsky lee Feb 06 2014 8:13 am i just hope that you will do another drama. we always watch your shows. we miss you. Omairah Feb 05 2014 7:25 pm I'd really love to see lee dong wook acting again with kim tae hee , park min young and other talented stars in korea..
Redson Jan 25 2014 7:54 pm I can't wait to watch Kang Koo's Story. Jiayou Lee Dong Wook! Trucy Jan 15 2014 10:42 pm I want to see more of you in 2014! Please come back in both drane series and movies! You are so talented and handsome! Nancy Quinon Jan 15 2014 11:48 am I'm not a Korean but I love watching "Scent of a Woman" in Netflix. I love the way you do your role. For me you are the best actor. I still keep watching Korean drama series in Netflix. Keep up the good work! Mai Jan 07 2014 1:21 am Love the drama, "The Fugitive of Joseon". You were a cute couple with Song Ji Hyo. Wish you will do more romance drama in the future. mint Jan 02 2014 5:49 pm he super hot in the drama "scent of a woman"
Nicole Dec 18 2013 10:53 pm I love him!! He is so good-looking and talented. Maha Oct 06 2013 10:21 am I love u, I think you are the most talented actor in Korea.i hope that u always be successful in your life. Len Sep 21 2013 8:04 am Love u Dong Wook Oppa! Fighting! Len Sep 21 2013 8:01 am What can i say?..Sarangahae Lee Dong Wook.!!..Fighting! zreig Apr 21 2013 11:00 pm DUMBFOUNDED! your still amazing after all these years.Your still my number one and I'm still watching MY GIRL till this time.Your almost into perfection.Looks,Height,Money,fame,Family,Character and that smile that could launch a thousand heart.SARANGHAE!! CH4Ssy Mar 26 2013 4:31 am when Dong Wook join Running Man againnn? K. Binodini Mar 11 2013 7:18 am Dong wook sshhhii...you are the most goodlooking and best korean actor. I love your dramas. Hope to see more of your dramas. Here's wishing u all the best in your future life from all the MANIPURI fans of yours....saranghaeyo. Angel Mar 05 2013 2:53 am After I saw "My Girl" I was captivated by his amazing acting. That led me to watch "Wild Romance" and I must say, the story plots he's involved in are always interesting and really gets me emotionally. Wonderful actor, whom I wish to one day meet. Porsche Feb 13 2013 1:27 am It is my first time to watch a Korean drama a laugh from the begin to the end. I am also a big fan of baseball, i played the sport when i was junior high. The story line is interesting and the actor are marvelous more especially lead actor and actress. Love you guys and thanks for keeping us entertained. Poorvika Jul 29 2012 5:04 am Hey!! !this is the first time i m watching a foreign language drama ....n i found thr cud be no other drama better than this ......gong chan shi was the best in thr n ju yoo rin tooo.......love yo guys :):):)keep rocking<3<3<3<3..
ria Jul 21 2012 6:02 am I dislike watching foriegn movies due to my laziness of reading all the subtitles! There nothing elese to see on netflex so i tried korean scent of a woman..16 episodes= 16 hours! Did you guys know that i literally sleep late at night and hurry home just to watch more episodes?and more to that, i browsed for more tv stories wild romance= 16hrs..and just last I finished partners which again equivalent to 16hrs...this is how lee dong wook make me glued ineglued!hehehe..i just wanna wish him well..i was never a fan to any actors before but yesterday i made my me2day account just for him!haha..it me ria from fort lauderdale, usa! Rose Jun 18 2012 12:33 am How can he be so perfect? But please somebody change his pic. it doesn't justify his great looks at all. Nithiya Jun 13 2012 12:12 am Hi Lee Dong Wook.. Hope U see this Comment.. I am from INDIA.. I watched Ur Serial "My Girl". U were Sooooooooo Cute Looking and Great in that.. I admired ur acting... Keep up ur Good Work... I ll continue to collect all your Great works and start admiring it.. Have a Great Life.. Soon Find Ur Girl.. I wish u all the best in ur upcoming Works.. Saranghae..(Love to see u soon).. Aja aja..
bigfan May 03 2012 12:25 pm i love you ! why u r that much perfect????????? wating 4 another dramas! thess tayco Apr 29 2012 2:31 am i admire you as an actor and your recent stint as a new host in strong heart is a welcome change. i already watched your first episode.. your good as a beginner but try to balance a good harmony to all your guests be them as your friends or acquaintance.. some of your guests appeared bored because you forgot their presence.. i hope you improve on that department.. tho you just started but i hope you'd be able to avoid that aspect.. it will affect your performance in totality if you neglect that aspect.. more power to the new threshold of your life..
eva Mar 05 2012 2:22 am I like your acting with Lee Si Young in Wild Romance, you two are so funny and cute....Can't wait to see you again in the next rom-com drama...Congratulations ! madelyn Dec 08 2011 11:27 pm i hope to c u soon lee dong wook. jaghn Nov 25 2011 4:13 am i am a pinoy. but i so like him. he is handsome and very good actor.! i hope one day i will see him personally..
malia Nov 07 2011 2:20 am kee dong wook. rhe most handsome actor in korea. do u have european blppd. because u have such beutiful eyes and red lips and very good skin. so kissable. u act very well and we are crazy about u in the phils even in america more rom comedies pls. Bonu Jul 27 2011 10:34 am I like u sooo muchhhh Lee Dong Wook oppa!!!!!! From Uzbekistan. YOU ARE MY ONE AND ONLY FAVORITE KOREAN ACTOR... WISH U ALL THE BEST.. YOU ARE AN EXCELLENT ACTOR, you can act all of characters.. good job! !